Are you tired of failing to live up to your potential? Do you long for more in control of your life? Whether you want to (1) easily resist temptations, (2) get important things done when they need to get done, or (3) dramatically increase your success potential, this audiobook, will teach you everything you need to know. Discover the self disciplined hidden inside you! So you've been eating healthy and working out to achieve your fitness goals, but do you feel as if you need a greater boost in your nutrition? Do you think that what you're doing and what you're consuming are just not enough? Most men dream of having a sculpted physique that simply screams "Alpha Male". But sometimes, gaining lean muscle is not as simple as a healthy diet and a regular workout regimen. Often, you need a bigger boost to help you achieve your fitness goals. 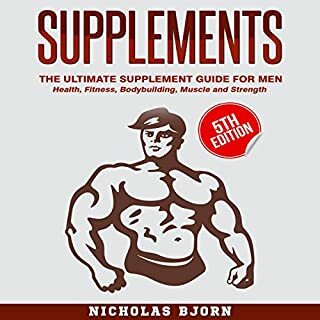 The good news is that you can get that boost you need through supplementation, and this book can show you how! Do you drag through the day? Do you wonder how great things could be if you just had more energy? 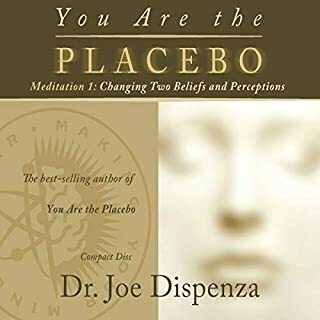 Whether you want to (1) stay alert and focused while you work, (2) have more energy to exercise and enjoy life, or (3) just start feeling good again, this audiobook will teach you everything you need to know. Are endless cups of coffee and other sources of caffeine your only way to stay alert? In this audiobook you will find the best energy-boosting foods, supplements, and strategies available. I've included some of my favorite energy-boosting recipes to really kick-start your day and some of the most invigorating health supplements around. Recharge your batteries the right way. Don't under-perform and wear yourself out at the same time. Learn to maximize your downtime. Don't just power through without stopping, but learn when to rest! Find ways to get a solid night's sleep and wake up refreshed for the day ahead. Organize to get the most important things done when your physical and mental energies are at their peak. Get the edge on life. Boost your energy today: buy it now! This book will lead you to your ultimate energy state. As you listen, you will hear small steps that will lead you to your goal. This book will teach you a great foundation of attitude, health habits, supplements, and daily practices to set you on a lifetime habit of energy to meet and exceed your goals. Learn how to combine foods, exercise, and health supplements to live your best life. I recommend this book to everyone. Who couldn't use more energy?! What did you love best about Energy: Ultimate Energy? This book was filled with plenty of informational information on how to take care of your heath and body, thus enabling you to spend more resources on your energy. I learned of many options on how to revive yourself, not just by drinking an energy drink, but actually how to do it the healthy way. What other book might you compare Energy: Ultimate Energy to and why? I have been having problems with my energy levels for quite a while now. I am very glad I got this book. I started trying a variety of things suggested in this audio, but what really worked good for me was switching up my diet, taking some of the supplements recommended along with some of the mental strategies. Sometimes all it takes is to stop doing some of the things that decrease energy and start doing some of the things that increase energy. Definitely recommended! Kick Coffee To The Curb With Ultimate Energy! Most of us don't consider how much our diet effects our moods. Ultimate Energy gives solutions that will have an immediate effect! If you're anything like most Americans (and me) you probably eat a lot of processed junk and caffeine in the form of coffee or soda. All these things do is make you jumpy and annoyed. This book will teach you how to get all the energy you need from real food. Your mood will improve, you'll want to be more active, and you'll probably lose some weight! What's not to like? What made the experience of listening to Energy: Ultimate Energy the most enjoyable? It gave me hope that I can have more energy through diet, exercise, stretching, simple relaxation and more. It sounds easy to be able to retain more energy when listening to the book. This is a non fiction book so there is no real character, but if there were one, it would be energy that can sometimes be elusive once you become an adult and the older you get, the more elusive it gets. This book tells you how to make friends with energy again. I love how Joshua Mackey sounds like this is the most important subject in the world. He sounds genuine and compassionate. Again, it is a non fiction book so I did not have an extreme reaction, but I did have the reaction that energy was attainable again. This audio book is perfect for the person with low energy. It will help motivate you, set goals that are attainable, eat healthy food that encourage energy, exercise and more. It will help you change your lifestyle so you can have more energy throughout the day. The author tells you want to eat and avoid eating. He encourages you to eat things that keep your blood sugar level through the day and avoid caffeine so you don't crash. Other suggestions include getting more sun or vitamin D, exercises that increase energy hormones, breathing methods, aromatherapy, meditation, massage and all kinds of other things that are sure to work for everyone. I would definitely recommend Energy, Ultimate Energy to a friend. I am in my 30's and the energy I used to have just isn't what it used to be. As I get older I am noticing a decline in my energy levels. I feel it is the same for my peers. I am always open to recommending good books on life improvement to my family and friends. This is a good read with useful information whether your young or old. What was one of the most memorable moments of Energy: Ultimate Energy? The part in the book I love most is the Energy Boosting Recipes and Smoothies chapter. The author provides you with some delicious smoothie recipes along with more energy boosting meal recipes. I really enjoy Joshua Mackey's tone of voice. He is enthusiastic and really engages you into the book. There is not a dull moment when listening to Joshua. He has a clear and solid voice making no mistakes reading this book. For sure! This is one of those books I would listen to this book again to refresh and keep myself reminded on all the useful strategies for keeping my energy levels up and running. I found this book to be extremely motivating! 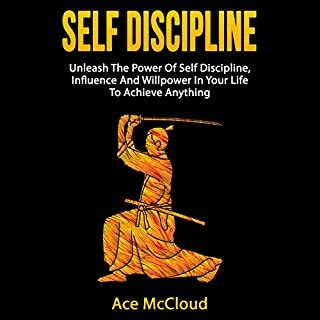 After listening to this book I found myself wanting to get up and work on increasing my energy levels with the easy to follow strategies and exercises Ace McCloud taught me. I would recommend this book because there are lots of benefits to improving your energy levels and it can be achieved with this book! This audiobook is perfect for someone who finds themselves lacking in energy throughout his/her day. This book shows that all it takes is a better diet, and key supplements or other strategies to feel healthier and more energized. It shows that cups of coffee throughout the afternoon are not the answer to feeling sluggish and tired everyday. 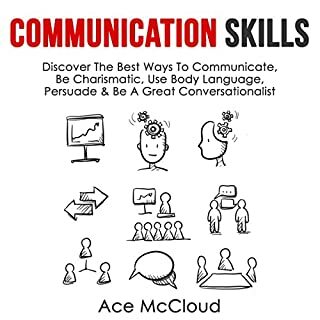 I love mCloud's tips, and definitely recommend this audiobook. Need more energy? read this book! Where does Energy: Ultimate Energy rank among all the audiobooks you’ve listened to so far? This book has many ways to get more energy by eating the correct foods, or other natural ways like plenty of rest/sleep. There are other options mentioned in this book as well such as all natural supplements. I suggest reading this book and going the route you feel is best for you and your life. I enjoyed it and made me more energetic so give it a try! The older I get the busier and more tired I seem to get. Recently, my energy had been at an all-time low, until I read this book. I've never been a coffee drinker so I was looking for a way to boost my energy levels naturally without having to pump myself full of caffeine. This book offers easy, healthy and natural ways to do just that. It taught me which foods have natural energy boosting qualities and which are energy draining. The recipes provided a simple way for me to incorporate all the delicious energy-boosting foods into my diet with ease. The book also offers a list of energy boosting activities to help you through your day. I absolutely love the tips offered in this book and I would highly recommend it to anyone looking for a more productive, energy-filled life. How can I start? I always try to write a nuanced review. But this is so bad. I'm even upset by the fact that it is here. Basically the 'book' is one big commercial without any insights. Performed like those American commercials "This is amazing!" "Un-be-lie-va-ble"
After hearing too many commercials for brands. I skipped to the last part. To quote the author: "You make the world a better place when you give this book a five star rating on Amazon or Audible". I hope to make the world a better place with this review. edit. I checked why people 'loved' this book. And checked their other reviews. It seems a bit odd that they only read books from this author with full 5-star reviews. If you could sum up Energy: Ultimate Energy in three words, what would they be? Have you listened to any of Joshua Mackey’s other performances? How does this one compare? This book gives you exactly what it says it will. I definitely learned something about natural energy sources I hadn't known before here. For those who already know a lot about natural sources there won't be a whole lot of new information here, but it is definitely a refresher at the very least. This is such a wonderful treasure trove of knowledge! 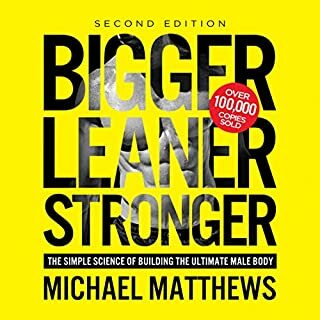 Using the techniques set out in this audio book, in just 48 hours I have so much more energy. I can multitask without brain fog, I am much more efficient, and I'm not drained at the end of my day. I even wake up with more energy! Thanks so much for the amazing tips, Ace! 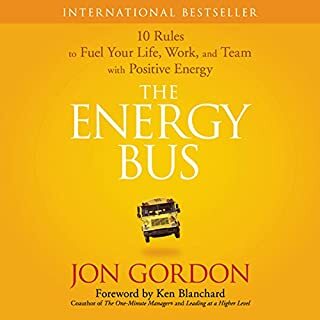 Energy is an interesting and motivating audio book, one to reach for at those times of life when you feel depleted (or even defeated) in terms of lack of energy and vitality. Ace McCloud writes in a thoughtful and organised style that makes it easy to follow (and take notes from) his ideas and recommendations for putting the 'zing' back into life. I came across this book when I was feeling worn out from the unrelenting pressures of running a small business and a home, whilst also trying to juggle some kind of recreational life. I certainly had days of feeling defeated by it all, and was getting out of bed tired each morning. I devoured Energy in one sitting and as I didn't take notes, immediately wanted to listen to it again. There are so many aspects of living that are considered; it takes a panoramic view of the things that sap our energy, as well as the solutions - some of which were new to me and all of which felt attainable. The most useful thing for me was to realise that my own patterns of behaviour are working against myself... because the very things that I need to do to maintain high energy levels are the very things that go out of the window when my life gets busy and chaotic. Joshua Mackey narrates in a high energy style that makes this an excellent, easy listen that's jam packed with useful information. Good job all round! I enjoyed the fact that the book offered easy-to-follow advice and so much advice on how to just make small changes to your diet and lifestyle in order to boost your energy. 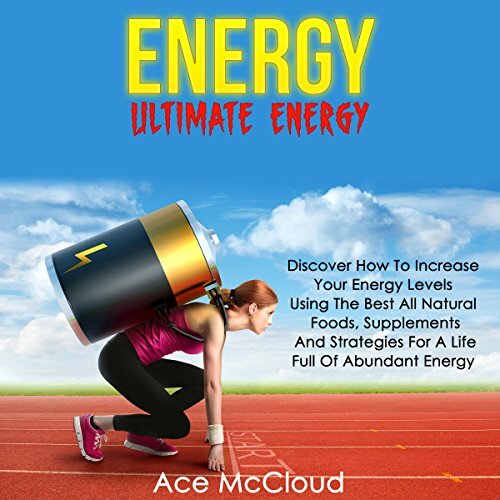 Like the other books I've heard from Ace McCloud, the author takes the time to explain how and why these pointers can help you with your energy levels. For me, the best part was the chapter that looked at diet and the right vitamins to eat. I learnt a lot from listening to it and the author did a great job of explaining how each choice would effect your body and your energy. The narrator was excellent as always, thoroughly engaging throughout. Highly recommended for anyone who feels there energy levels dip through the day or has trouble sleeping. There is so much information packed in this book that you will be sure to pick up some tips that can have a real impact on your life. Would you consider the audio edition of Energy: Ultimate Energy to be better than the print version? Listening to the audio version is something your can do on the go and that seems to make sense considering the subject matter and the book's mission to inspire you to greater levels of energy. The narration also generates a huge amount of energy itself and you really benefit from its buzz when you listen. The moment that made me hit pause and reflect was when I realised that the lack of energy I was feeling was not really down to all the external pressures in my life, but it had its roots in the way I was dealing with them. In other words, it was my own patterns of behaviour that were making me tired and denying me the energy I otherwise would have. This was a real 'wake up and smell the coffee moment' and I'm very thankful for this book for showing it to me. Not really. Though I really enjoyed it, I wanted to pause at moments and consider the advice I was being given.